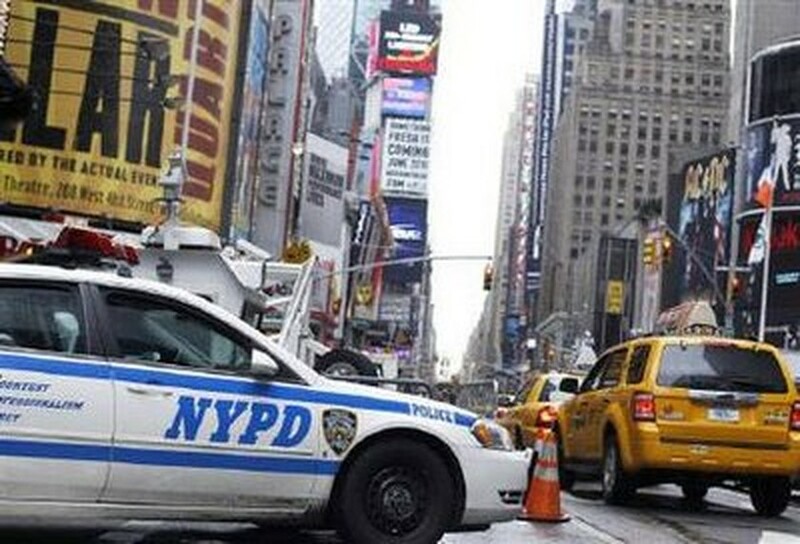 A police car is seen in Times Square, New York May 3, 2010. MSNBC television identified the man as Shahad Faisal, a Pakistani-American, and said he was arrested on Long Island, New York. The New York Times said the suspect lived in the US state of Connecticut. Authorities had launched a massive manhunt with the FBI's terrorism task force and local New York police to try to catch the would-be bomber.